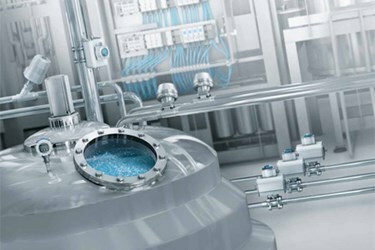 In many process automation applications, the pressure and flow of gases are controlled. Explosion protection requirements mean that an inert atmosphere is often created and maintained in reactors and process tanks in a plant. This is usually done with nitrogen and in some cases also with argon. Other applications include the transfer of materials between process tanks and filling, using inert gas, air, sterile air and carbon dioxide.